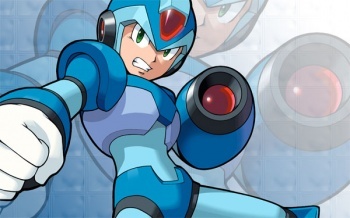 Armature Studios produced a prototype for Maverick Hunter, a first-person shooter based on the Mega Man X series. joined this sad list, and now, another unfinished project has been revealed to give fans even more to be disappointed about. In 2010, Armature Studios began working on Maverick Hunter, a first-person shooter in the vein of Metroid Prime and based on the Mega Man X series. In addition to adapting franchise mainstays like platforming, weapon-stealing and, of course, Mega Man's trademark arm cannon, Armature had big plans for the story of Maverick Hunter. According to sources familiar with the project, Maverick Hunter would "be like taking an 8-bit game that doesn't have a very deep story to it, and then building around it and keeping some of the key pieces intact." Focusing on the theme of man versus machine, the developer had been in preparation to produce a trilogy in which X, the returning protagonist of Mega Man X, eventually becomes jaded from fighting robots like himself and turns on his creators. The third game in the trilogy would have gamers playing as Zero, another returning character, trying to stop X. Sadly, Maverick Hunter didn't make it very far. A playable prototype was produced, but the game was cancelled by Capcom a mere six months into its development. Learning about this now, it's painful to think how excellent this could have been had Capcom continued with it. While some might not have liked seeing Mega Man walk down such a different path, it might have been just the shake-up the franchise needs.